Stonegate, Arizona is a guard-gated community in Scottsdale. This resort like community lies in the south of Mountain View Road, between 120th and 112th Streets, north of Salt River Pima-Maricopa. Built between 1980 and 2013, the homes in this community are guarded by access control gates, ensuring that visitors are arranged by residents of this luxury community. There are three unmanned gates and one guard gate, which is manned 24 hours a day, seven days a week. This residential community has some 916 properties in 15 subdivisions. 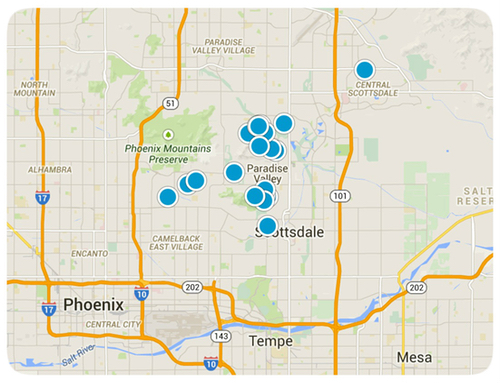 This amazing community has been called a desert oasis because of the abundant grassy areas throughout the area. This beautiful community boasts a community center for residents to take advantage of. For sports enthusiasts, there are seven tennis courts, an Olympic size year-round heated pool and spa, and a half-court basketball area. As a family-friendly community, a playground for children has been provided. There are also many walking trails in and around the area for explorers. ?The gated community has close access to a variety of shopping in nearby areas, as well as many restaurants only minutes away. There is also easy access to quality hospitals and airports. 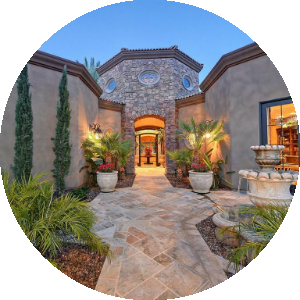 Real estate in the Stonegate community is a variety of stucco, Tuscan style homes. Many homes feature two to six bedrooms, with living space ranging from 1,466 to 5,143 square feet. As a master-planned community, there are most single-family homes, professionally managed by The Stonegate Community Homeowners Association. There are homes ready to walk into, and homes for the fixer uppers who like to go in and make a house fit their needs. There are both public and private schools available, and Loop 101 Freeway is only minutes away for travel to other communities for additional recreation, shopping, and business trips. 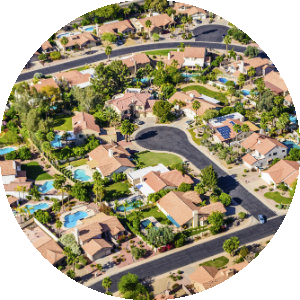 When you take into account the many neighborhood options, the lush desert beauty, and the easy access to local amenities and activities available in nearby communities, it is easy to see this is a must-consider destination for home buyers search in the Scottsdale area. 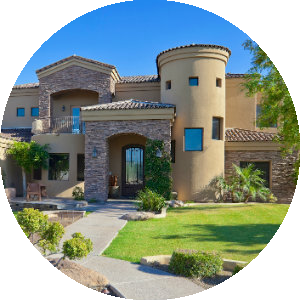 If you would like more information on homes for sale in Stonegate of Arizona, please contact us today and allow us to assist you.